I started email marketing about 10 years ago when it was a pretty new activity, especially doing HTML emails, where it looks like a web site with graphics and so on. 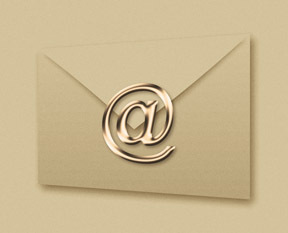 Back then, you could rent email lists of various types of publics who had opted in to receive email on a certain topic. I sent emails out to literally millions of people on opt in lists back then. You can still rent email lists of various types of publics today, but in my experience this is not very successful any more. I have not seen good results from rented lists in at least 5 years. Why? A huge outpouring of commercial email several years ago, promoting Viagra or stocks or enlargement of certain body parts or whatever, killed the market. Everyone got too much email. So in my opinion, for the most part, sending email to rented lists is dead. But there is still a very effective way to use email in marketing today. That is to build up your own opt in email list, also called a house list, and send your newsletters and other offerings to that list. Of course it’s more of a challenge to get people to give you their email address today. You have to offer something of value, either a newsletter that they want, or some free information like a free report or white paper that you create. But it can be done and it is very important for you to do so. I used to use a desktop based program to send out emails and manage my lists. 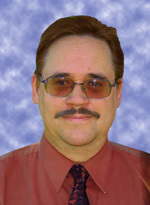 I have now switched over to an online email and autoresponder service called Aweber.com, and I recommend this service. Other top services include Constant Contact and iContact. All of them cost around $20 per month. I recommend for everyone that has an email newsletter to start using one of these online email services as soon as possible. Why? Because eventually your email list will get big enough that you will not want to manage it by hand, adding and removing email addresses and so on. You will then want to get onto one of the online services. But the problem is, that once you put up your account and want to start mailing to your already existing list, Aweber, Constant Contact and iContact will all require that a new “opt in” message be sent out to your entire list, asking them to opt in again. You will now only be allowed to send to those who opt in again on the new system. That means you will lose between 70% and 90% of your email list! Or like me, you will have to continue sending using a desktop program as well as sending out using one of the online services. So the sooner you get onto one of the online services, the better. Because then all of those who opt in to your list after you are using the online service are more or less validated by this third party and you won’t have to go through the “Please click here to opt in again because we want to be really, really, really sure that you want to be on this list” process. Do I think the online services overdo the permission thing a bit? Yes I do. But on the other hand they have to deal with all the privacy Nazis and their anti-spam activities and black lists and so on. So I sort of understand. You should absolutely send an email newsletter to your list. These newsletters should be 80% useful content, 20% sales message. How often is up to you. It can be monthly, twice a month, or weekly. I would recommend that you do it at least once a month. I also recommend using an autoresponder, and sending them a message right away saying thanks for subscribing. Then you can set it up so that they are sent another message that you specify, a certain number of days later. So you can have one message go out right away as soon as they click submit, then another message a week later, then another a week later, and so on, with whatever intervals in between that you select. Obviously this gives you a way to set up part of your sales process going on auto-pilot. I have it set up so that with several of the offerings on my web site, when the person fills out the form, they get a unique autoresponder message for each one. For my newsletter subscription, they get a “thank you for subscribing” message. For my free white paper on web design, they get a “here’s your link to download the white paper” message. For a service more information request, they get a “thanks for contacting us, we’ll contact you shortly” message. And each of the autoresponder messages mentions that they are also now subscribed to my newsletter, and they can opt out at any time. Aweber also allows you to set it up so that every time you post a new message on your blog, that it will go out as a newsletter, formatted nicely, to your entire opt in list. You can also send an email promoting any of your products or services as a standalone email. Overall I find that email marketing to your own opt in or house list is one of the most effective methods in online marketing today. And if you’re doing it in any form, I suggest you get onto one of the online services right away. John, Nice post but you are incorrect about iContact requiring you to send out a new opt-in message when you upload a list. It is an option but not a requirement. Hey John. Thanks for writing about iContact! I wanted to correct that as long as you already have an opted-in list of prospects or customers, you don’t have to re-opt them in when you import them into iContact. You won’t be forced to re opt-in your list import. I invite you to give us a try!